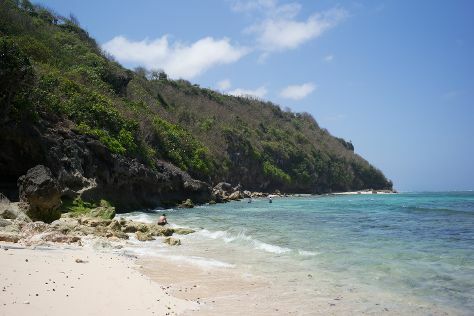 Visiting Suluban Beach and Blue Point Beach will get you outdoors. Discover out-of-the-way places like Green Bowl Beach and Melasti Beach. Get out of town with these interesting Pecatu side-trips: River Rafting & Tubing (in Kuta), Double Six Beach (in Seminyak) and Geger Beach Nusa Dua Bali (in Nusa Dua). Next up on the itinerary: kick back and relax at Bingin Beach and tour the pleasant surroundings at Pandawa Beach. For maps, other places to visit, where to stay, and tourist information, refer to the Pecatu trip planner. Singapore, Singapore to Pecatu is an approximately 5.5-hour combination of flight and taxi. In November, daily temperatures in Pecatu can reach 37°C, while at night they dip to 30°C. Wrap up your sightseeing on the 4th (Sat) to allow time to travel back home.